This is the bottom part of our chess table product. We show you about the detail part of chess table to make you sure how strong the chess table is. For chess game and home furniture, this chess table will give different touch in your house. Has carved carefully by expert craftsman and polished well with glossy touch. So unique and elegant. This wooden chess table has made of best quality Teak wood that has dried. So that, the product is very durable for indoor and outdoor use. You can also use it as home decoration and match it with your others furniture. By this strong chess table, your house will looks elegant. 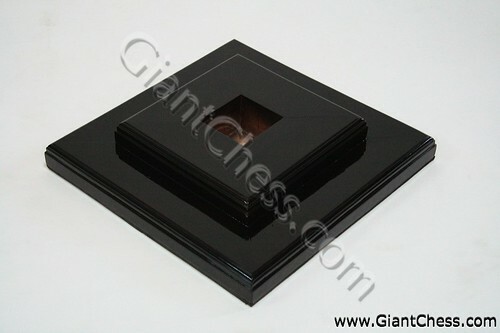 Besides, we also provide another chess table models. You can choose which model had attract you. Not only in black, we also have the brown one. Just visit our shop now!